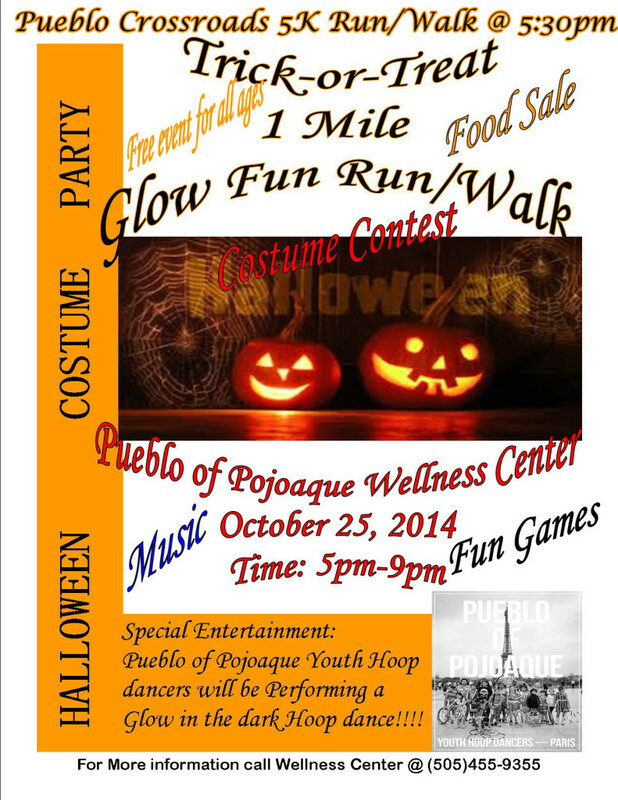 Wings has just learned that the Pojoaque Pueblo Crossroads 5K has been moved from 10/31 to THIS SATURDAY 10/25 @ 5:30pm at the Pojoaque Wellness Center. See the attached flyer for more details. Also, see the attached list of those participants with 3 Crossroads events attended HERE. You can still earn a Crossroads t-shirt through the Wings incentive program by attending Saturday’s event. For your reference, the list also includes participants who have already attended enough events to earn an incentive. Please contact Wings program director, Dustin Martin (dustin@wingsofamerica.org) if your attendance record at Crossroads events seems incorrect according to our list.